ACTION Certification is expanding across the world. And our partners are helping to bring affordable NCCA Accredited Personal Trainer Certification to millions of people. You can become a full partner or an affiliate. Earn money while promoting good health and fitness. 567GO is a leading fitness educational academy in China market. We provide an educational course of study specifically designed to prepare the aspiring fitness professional for the evolving and emerging profession. 567GO's educational curriculum provides comprehensive course work introducing students to current, relevant, scientific information relating to the human body, human performance, and methods of implementing safe, effective and efficient client centered exercise programming, instruction and methods of exercise progression. 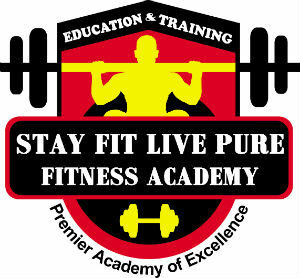 Stay Fit Live Pure Fitness Academy is the premier academy of excellence in providing state of the art training & education program to fitness professional and fitness enthusiast with comprehensive and legitimate scientific and cutting edge methods to enhance the capabilities to became an expert in the field of fitness, nutrition, bodybuilding & performance enhancement.